SpringHill Suites by Marriott: Work on Ocala's latest hotel continues on Southwest 40th Street near State Road 200, behind Sam's Club. 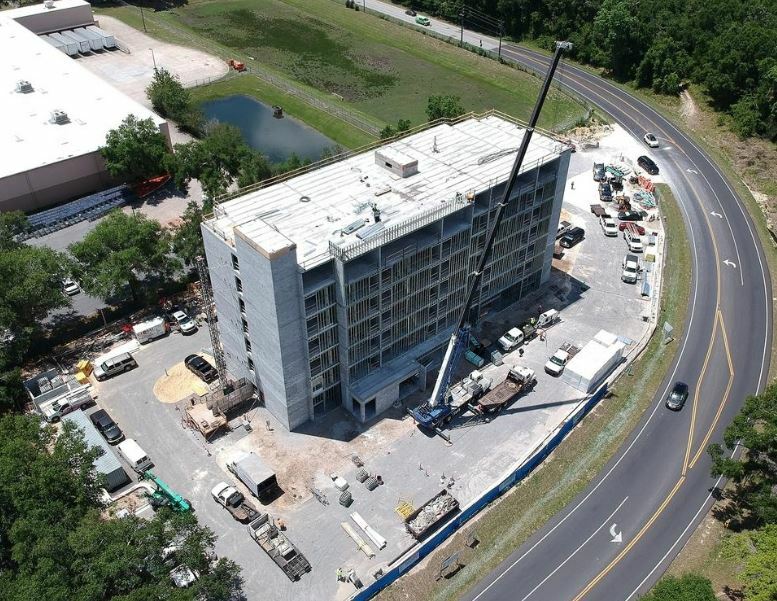 A crane recently placed the roof planks on the seven-story, 102-room hotel. The all-suite hotel will feature an indoor pool. The project's estimated value is $10 million and it covers a site of 1.63 acres, permits state. Owned by M&S Capital Partners and managed by HDG Hotels, both based in Ocala, the hotel is expected to open by February 2019. HDG operates 13 other hotels in Florida, including six in Ocala.